Sony Xperia Z3 D6653 and D6603 Gets Root and Recovery! Sony Xperia Z3 D6653 and D6603 Get Root and Recovery! 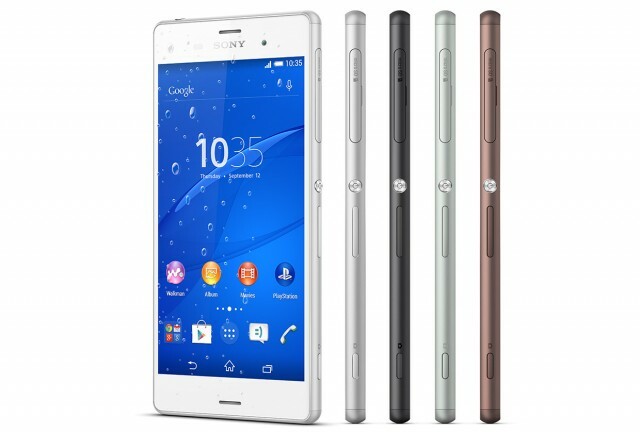 Ever since its unveiling at IFA earlier this year, many users and potential users have been excited for Sony’s latest flagship device, the Sony Xperia Z3. Featuring top of the line specifications, fantastic build quality, a pleasantly skinned UI, and gorgeous industrial design aesthetics, it’s not a struggle to see why. Accordingly, we’ve seen a lot of activity in the time to date, including a system dump as well as a ported launcher and camera app. While these help to bring some of the Z3’s goodies to other devices, they do nothing to bolster the capabilities of the Z3 itself. Now, however, this changes. While the Sony Xperia Z3 features great hardware and software, one thing that it lacked up until now was root access. Luckily, this has now been rectified for the D6653 and D6603 models of the Sony Xperia Z3. The root method comes courtesy of XDA Senior Member monx®, who ported an unofficial version of TWRP and a modified kernel to the device. As you would expect, rooting requires an unlocked bootloader. After you’ve unlocked your bootloader, simply boot into fastboot, execute a fastboot flash command for the recovery image provided in the thread, reboot to recovery, and flash SuperSU. If you’ve got your hands on a D6653 or D6603 variant of the Sony Xperia Z3, you can get started by visiting the Sony Xperia Z3 root thread. So far, this method has only been tested with the D6653 and D6603 models, so don’t use it on other variants just yet unless you are willing to potentially end up with a brick. In other words, if you have another device variant and aren’t extremely adept at recovering from bad situations, we recommend holding off for now.